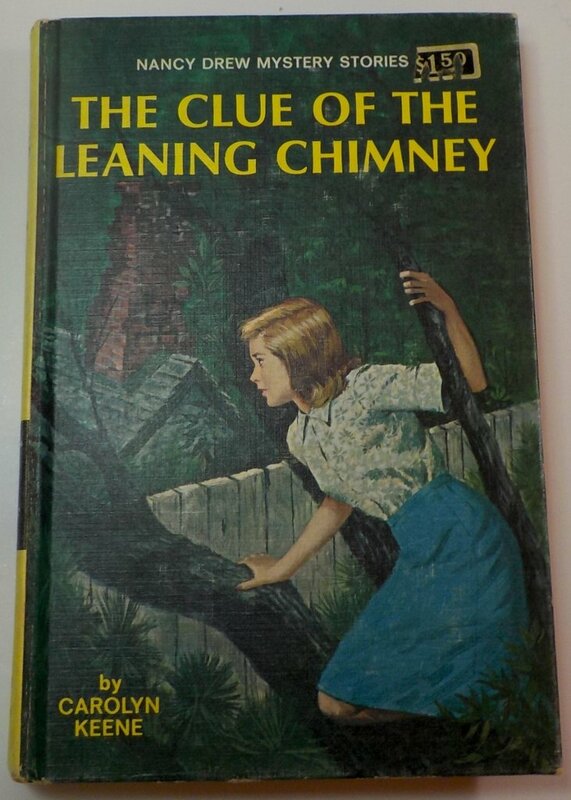 Nancy Drew #26 The Clue of the Leaning Chimney 2nd picture cover, first year print 1967 with white I style endpapers. 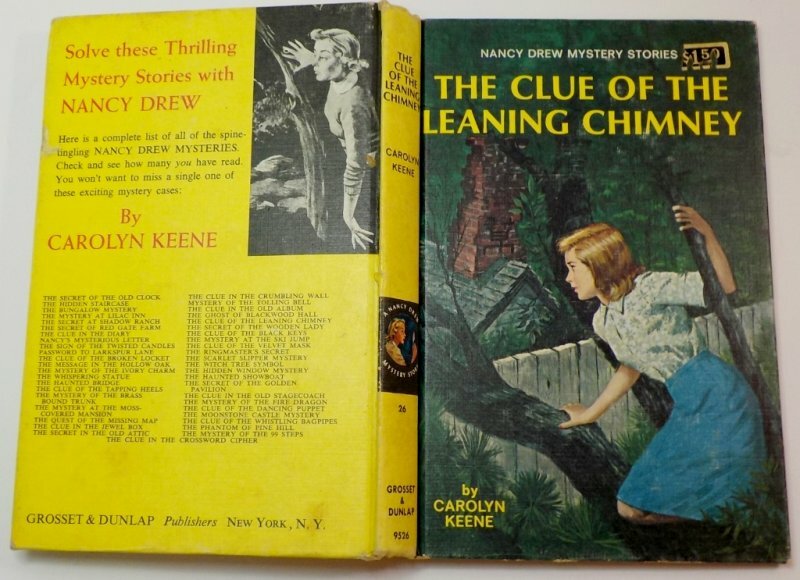 This volume has earlier type of black and white multiple picture endpapers and the back cover with Nancy Drew looking out from behind a tree in the upper right corner. 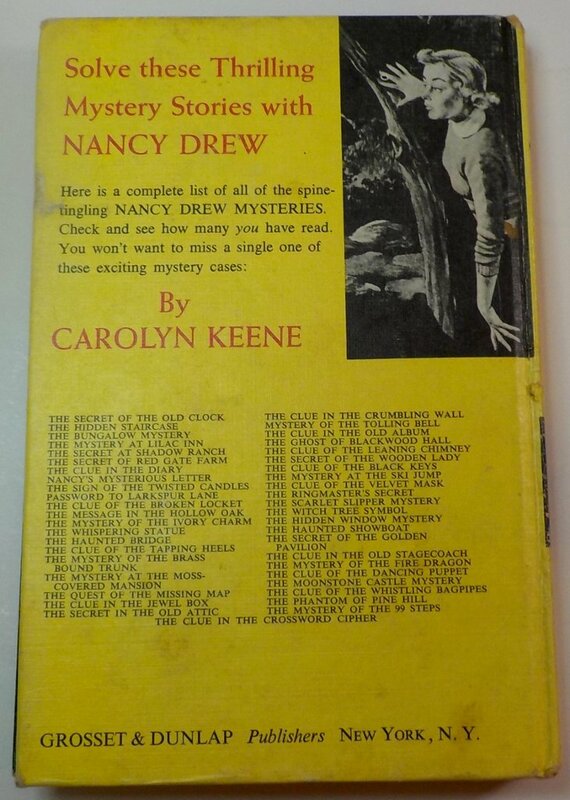 The last book listed on the back is the Nancy Drew book #44 The Clue in the Crossword Cipher, 1967. 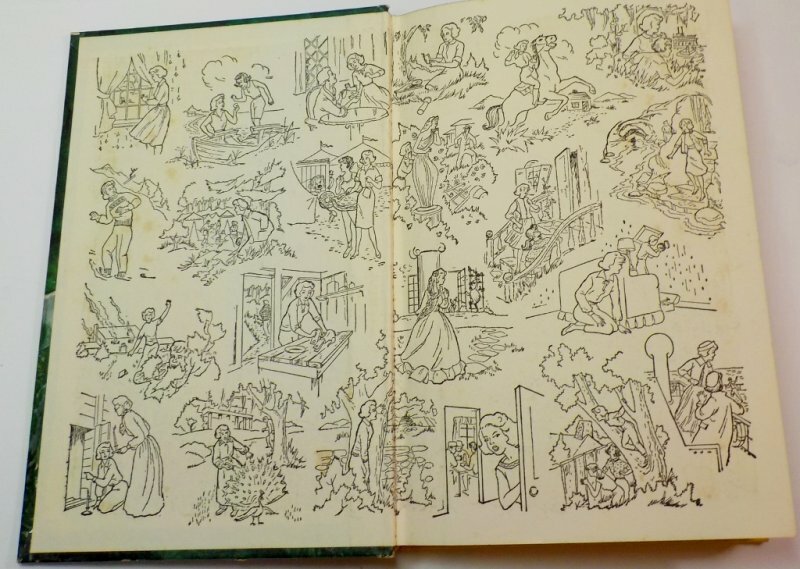 The book has the revised text of 20 chapters. There is no pre or post book list. The last page is an advertisement for Meet Christopher Cool teen agent. Shipping will be by media mail.